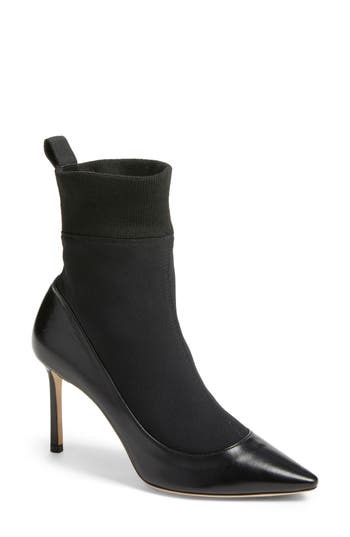 A stretchy cuffed sock brings contoured shape to the upper of a runway-ready bootie framed at the foot by a classic pointy-toe pump. 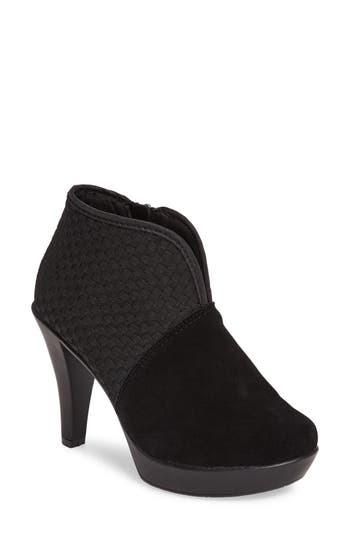 Style Name: Jimmy Choo Brandon Sock Bootie Pump (Women). Style Number: 5482499. Available in stores. A rounded sculptural heel furthers the modern style of a pointy-toe slingback pump featuring a chic layered upper with breezy cutouts and a padded footbed for all-day comfort. 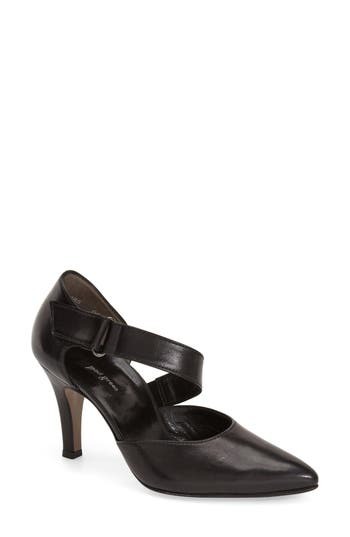 Style Name: Donald J Pliner Letta Pointy Toe Slingback Pump (Women). Style Number: 5404647 1. Available in stores. Suave style and versatility make this cap-toe pump a closet essential, while the cushioned footbed provides fuss-free comfort all day or evening long. 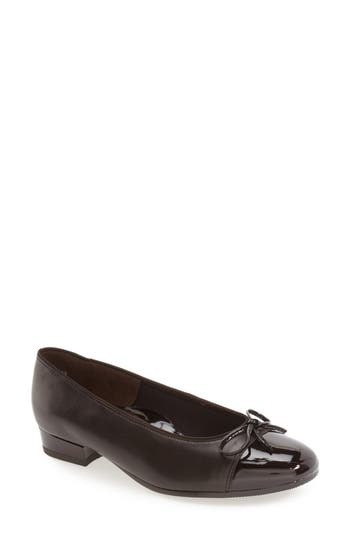 Style Name: Ara 'Bel' Cap Toe Pump (Women). Style Number: 5216719. Available in stores. 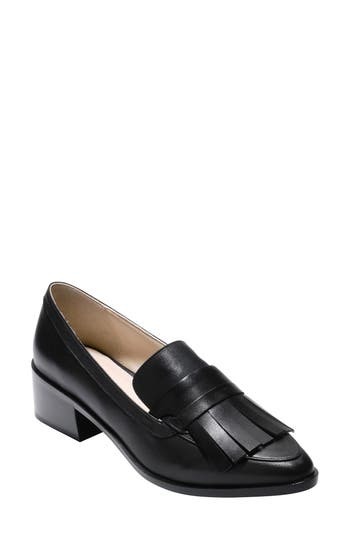 A minimalist low-heel pump in supple leather offers maximum versatility as a casual style staple. Style Name: Jeffrey Campbell Jordan Pump (Women). Style Number: 5389752. Available in stores. 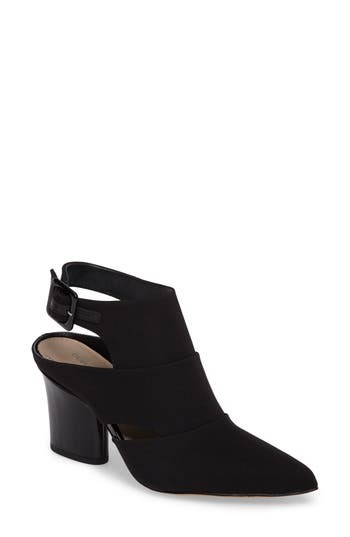 A low block heel complements the tapered square toe of a chic, wear-anywhere pump with a soft, cushioned footbed. 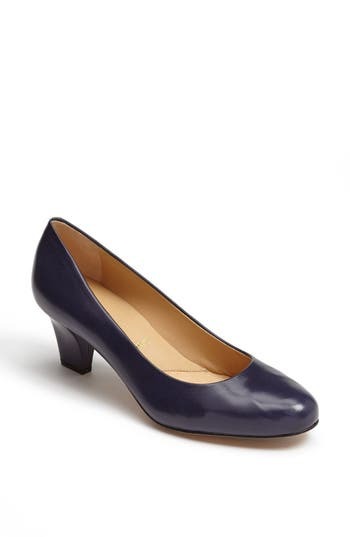 Style Name:J. Renee Eledora Pump (Women). Style Number: 5457128. Available in stores. 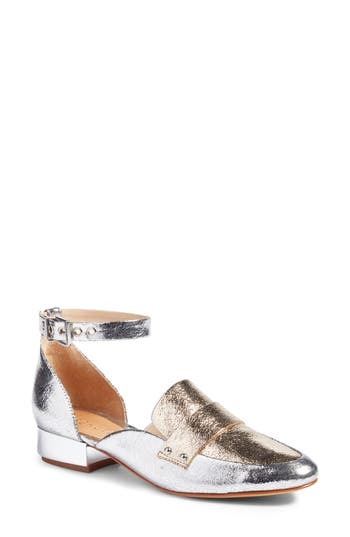 Crackled metallic leather distinguishes a contemporary low-heel pump in a loafer-inspired silhouette secured by a slim, adjustable ankle strap. Style Name: Schutz Moka Ankle Strap Pump (Women). Style Number: 5430278. Available in stores. A sweet and understated cap-toe pump features an elegant mary jane profile with an adjustable strap that comfortably secures every step. 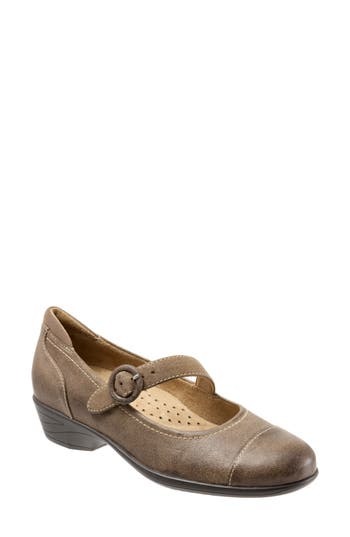 The cushioned footbed with gentle arch support is lined with faux suede, softly wrapping your foot all day. 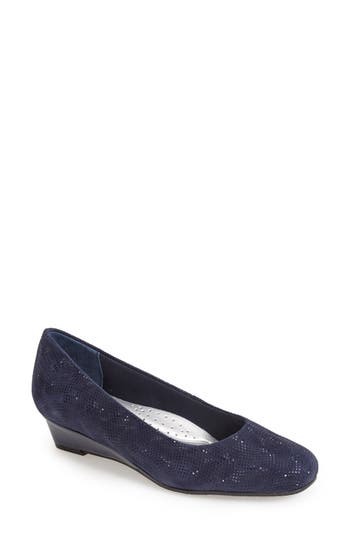 Style Name: Softwalk Chatsworth Mary Jane Pump (Women). Style Number: 5438001. Available in stores. 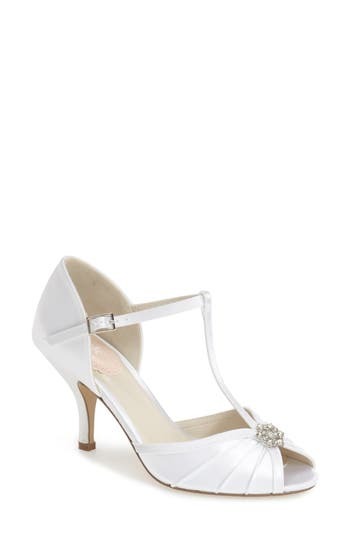 A sparkling crystal brooch adorns the toe of an elegant evening pump lifted by a tapered heel. Style Name:J.renee Bilboa Pointy Toe Pump (Women). Style Number: 5456828. Available in stores. A neat bow crowns the pointed toe of a graceful skimmer pump in color-saturated suede. Style Name: Pas De Rouge Bow Detail Pump (Women). Style Number: 5452948. Available in stores. Kiltie fringe elevates a sophisticated leather pump lofted by a block heel. Signature Grand. OS technology provides increased cushioning, greater flexibility and reduced weight so your feet feel great throughout your busy day. 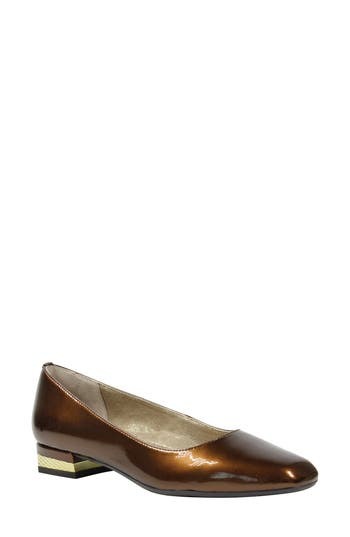 Style Name: Cole Haan Margarite Loafer Pump (Women). Style Number: 5430508 1. Available in stores. 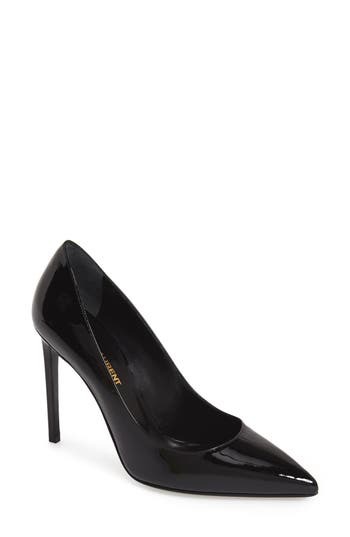 A true classic, Saint Laurent's Paris pump features a pointy-toe silhouette, slender stiletto heel and curvy topline. Style Name: Saint Laurent 'Paris Skinny' Pointy Toe Pump (Women). Style Number: 880766. Available in stores. 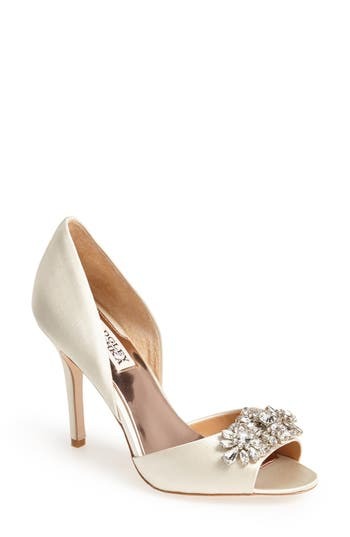 A dazzling array of sparkling crystals catches the light on an elegant d'Orsay peep-toe pump shaped from lustrous satin. 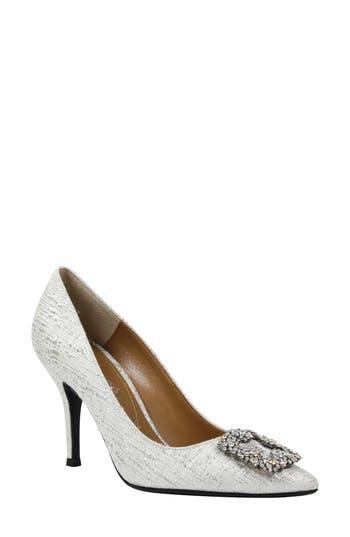 Style Name: Badgley Mischka 'Giana' Satin D'Orsay Pump (Women). Style Number: 856365. Available in stores. 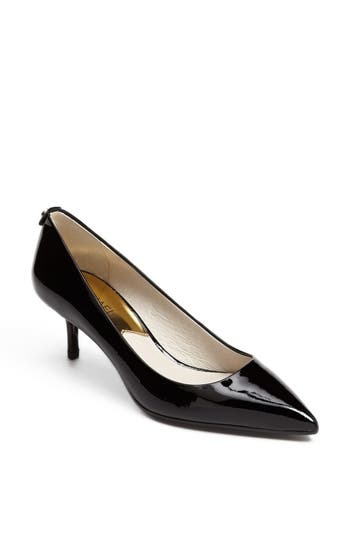 A pointy-toe pump with a kitten heel features a Michael Kors logo stud on the counter. A padded insole ensures all-day comfort. Style Name: Michael Michael Kors Kitten Heel Pump. Style Number: 689982. Available in stores. Mirror-ball shine illuminates an arch-baring d'Orsay pump with a flirty open toe. 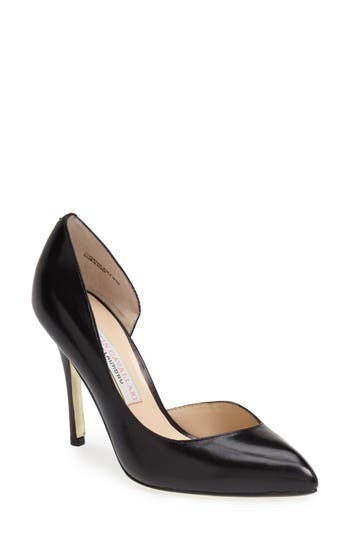 Style Name: Kate Spade New York 'sage' Pump. Style Number: 612236. Available in stores. A clean, sophisticated profile defines a classic round-toe pump. 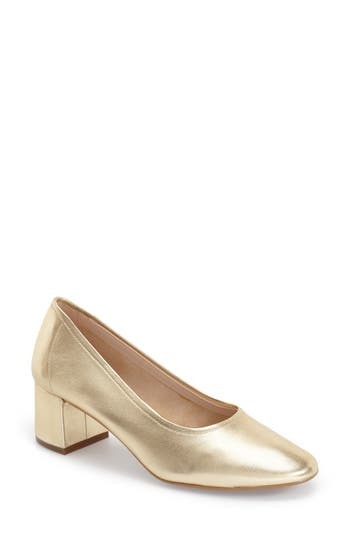 Style Name: Trotters Signature 'Penelope' Pump. Style Number: 915363. Available in stores. A low vamp and asymmetrical topline add a modern vibe to an enticing single-sole pump. Style Name: Kristin Cavallari 'Copertina' Pump (Women). Style Number: 960306 12. Available in stores. Stripe cutouts and polka-dot perforations lighten up a cute lace-up pump set on a low, stacked heel. Style Name: Fidji 'Vo92' Perforated Leather Pump (Women). Style Number: 1044581. Available in stores. A favorite wedge pump with a flexible sole and padded footbed is refreshed in 3D patent suede that adds an eye-catching twist of dimension. 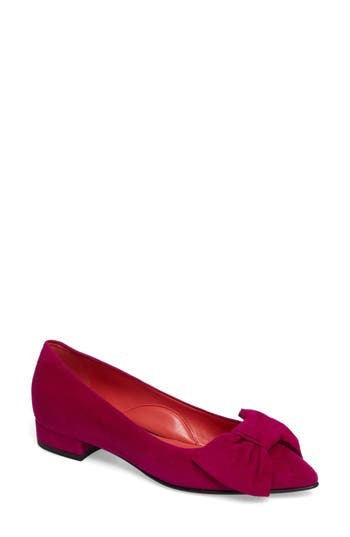 Style Name: Trotters 'Lauren' Pump (Women). Style Number: 1049268 2. Available in stores. A shimmering crystal ornament and pin-tuck pleats highlight the alluring peep toe of a graceful T-strap satin pump. Style Name: Pink Paradox London 'Perfume' T-Strap Peep Toe Pump (Women). Style Number: 1154893. Available in stores. 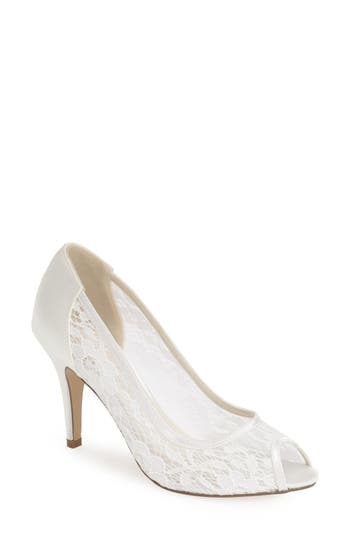 A veritable confection of romantic lace and luminous satin, this peep-toe pump is just the thing for your special day. Cushy, breathable padding in just the right places will make you feel like dancing into the night. Style Name: Pink Paradox London 'scrumptious' Lace Peep Toe Sandal (Women). Style Number: 1154928. Available in stores. A pointy-toe pump features a subtle Burberry touch with an ombre wood heel and signature checks lining the interior sides. 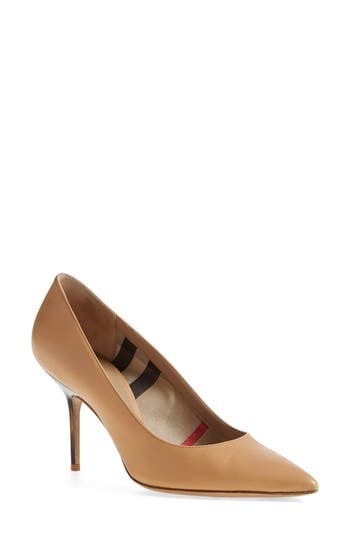 Style Name: Burberry 'Mawdesley' Pointy Toe Pump (Women). Style Number: 1104344. Available in stores. An asymmetrical strap puts a modern twist on the classic d'Orsay profile of a pointy-toe pump handmade from fine Italian leather. 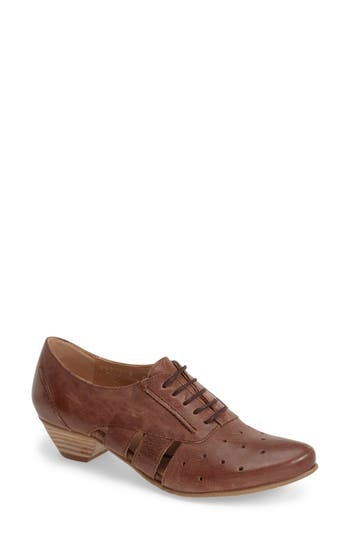 Style Name: Paul Green 'Desire' Pointy Toe D'Orsay Pump (Women). Style Number: 1100951. Available in stores. 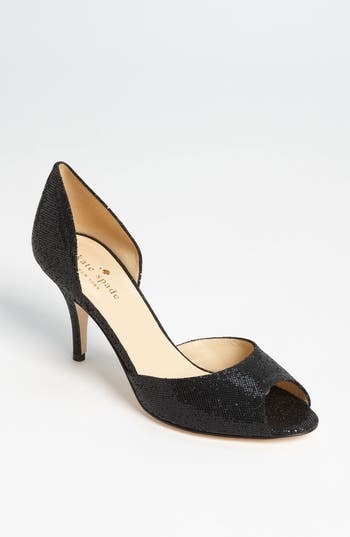 Made for dancing the evening away, this slingback pump glitters with crystals from vamp to kitten heel. 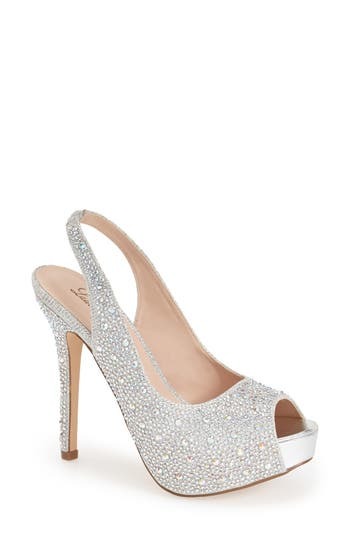 Style Name:J. Renee 'Impuls' Crystal Embellished Slingback Pump (Women). Style Number: 1151755. Available in stores. A classic for any occasion, this sophisticated kitten-heel pump features a hidden gel pod for comfort and a logo-embossed rand at the back. 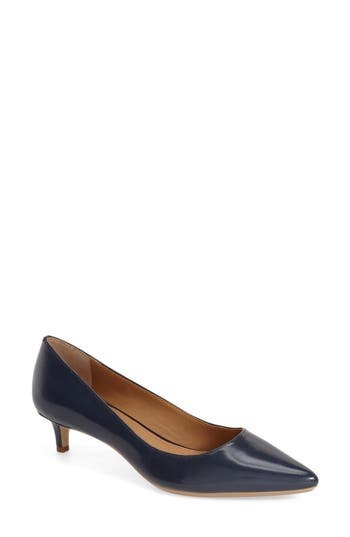 Style Name: Calvin Klein Gabrianna Pump (Women). Style Number: 1173518. Available in stores. 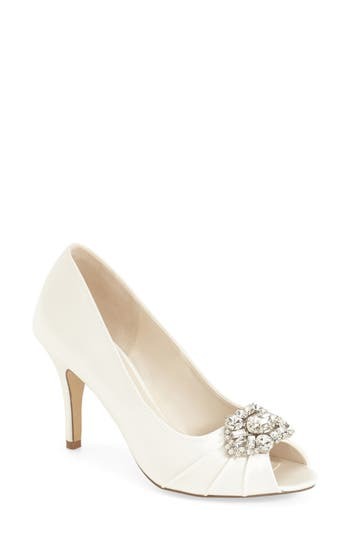 A gorgeous crystal brooch ornament accents the pleat-detailed open toe of a sleek satin pump lifted by a classic heel. Breathable cushioning in just the right places will make you feel like you're walking on air all night long. Style Name: Pink Paradox London 'Tender' Open Toe Pump (Women). Style Number: 5045351. Available in stores. 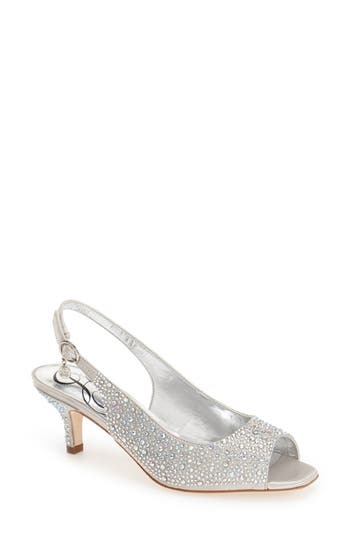 Dress up your night with this sassy slingback pump featuring allover sparkling rhinestones for eye-catching appeal. Style Name: Lauren Lorraine 'Candy' Crystal Slingback Pump (Women). Style Number: 5040739. Available in stores. A chunky wrapped heel lifts an elegant ballet shoe shaped from soft, supple leather. Style Name: Topshop 'Juno' Ballet Shoe (Women). Style Number: 5123041. Available in stores. Slender ghillie laces lend on-trend style to a svelte mid-heel pump fashioned from buttery-soft suede and fitted with an elegant pointy toe. Style Name: Kristin Cavallari 'Opel' Lace-Up Pointy Toe Pump (Women). Style Number: 5137879. Available in stores.